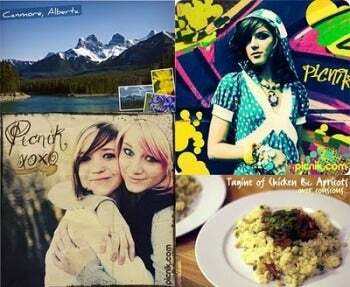 Google's campaign to drive up usage of its growing social networking service could be the reason for the demise of Picnik, a fun and powerful photo editing website that will be closing shop on April 19. Google bought Picnik in March 2011, saying at the time it was impressed with the product and was looking forward to collaborating closely with the website's team to improve the online photo editing experience on the Internet. "We're excited to welcome them to Google," Google Product Management Director Brian Axe wrote in a company blog. But that was then, this is now, as Google's social network, Google+, is continuing to grow and is seeking to siphon away more users from much larger Facebook. In an e-mail to Picnik users, the website's team tried to soft-sell its creation's demise and boost the merits of its master's new darling Google+. "We are excited by the photo-editing fun we have already brought to Google products, like Google+, where you can find many of your favorite Picnik effects in Creative Kit," the team wrote. Shutterbugs who have stored photos on Picnik can move them to their computers with a new feature called Takeout, or copy them to Google+. While you may find some of Picnik's effects in Creative Kit, you won't find the attractive, intuitive and enjoyable-to-use interface of Picnik's native site. What you will find in Creative Kit is the kind of annoying minimalist interface and graphic mediocrity that's found throughout Google+. Picnik users will be much better served moving their traffic to other image editing sites such as Pixlr, Splashup or Pixenate. Picnik is offered in two flavors: as a paid and a premium service. All premium members will be receiving a full refund of their annual fee of $24.95. "[E]ven if you are on your very last day of an annual membership, we will refund you the entire $24.95," the team wrote. "Just because we want to say thanks." Along with Picnik, Google also lowered the boom on Google Message Continuity, Google Sky Map, Needlebase, Social Graph API, and Urchin. The Internet search leader with aspirations to be a bigger social networking destination also announced this week that from now on, anyone who opens a Gmail account must also join Google+, a nice way to pad Google+'s numbers and make it look better compared to rival Facebook. Picnik has been a great product, and it would have been nice if Google had treated Picnik with the same kind of respect and appreciation Picnik has extended to its followers.